After the teaser in July 3rd, a new wave of teasers of Moto X are available to the public this weekend. Now the exterior, camera and voice control are quite clear from the official videos and photos. Eric Schmidt, the Google Chairman, was using a Moto X phone publicly at the Sun Valley Conference “Camp for billionaires”. The photo confirmed Moto X is not a giant phone, very likely less than 5″. So, the size is similar to Nexus 4 or even older Galaxy Nexus. The thickness suggested the battery probably is quite large. The battery capacity is very likely somewhere close to 3000mAh, which is comparable to Droid Razr Maxx’s 3300mAh. The exterior material is plastic without the metal rim as in Samsung’s. The back can be customized as suggested in the official teaser page. Plastic make senses for quick customization. For the camera, the official Motorola Mobility account tweeted some blurred photos and mentioned “Either this kid is really fast, or today’s phones are really slow.” #AlmostGotIt pic.twitter.com/mdMEOGqfhr This indicates Motorola wants to remind us there are significant improvement on camera. Maybe not on the number of pixels, but more on the image quality for real life. The most juicy leak is the commercial Rogers (a Canadian Telecom company) prepared for the launch of Moto X. 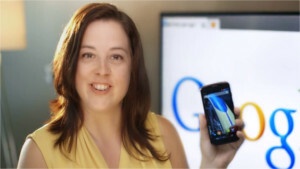 In the long (close to 2 mins) video, you get a closer look of the Moto X phone. Some unique features are illustrated in the video. For example, double twist to launch the camera. 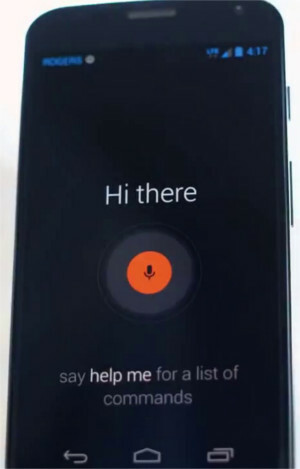 The voice control and new notification also makes the phone standing out. Apparently, these new features are quite practical, not just software gimmicks in Galaxy S4. What do you think about Moto X Phone? Share your thoughts in the comment box below! 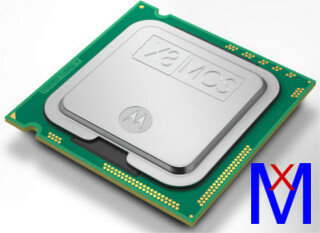 Will Moto X Phone Save Motorola? Time is almost running out for Motorola Mobility in the handset battlefield. Samsung now dominates Android handset with its Galaxy series, from budget to the top, from 3″ to 10″. HTC, LG, Sony, Huawei, ZTE are all gearing up for the 2nd place in the crowded Android market. Motorola has been silently losing its market share. Apple, Nokia and Blackberry are all struggling to keep their grounds. The Google acquisition is the last stimulus to revive Motorola. 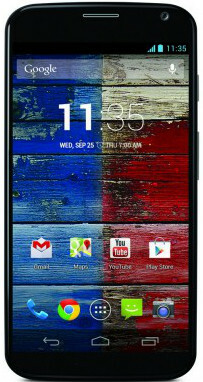 Moto X Phone probably is the last chance to save Motorola. Both Motorola and its parent Google are betting the future of Motorola on Moto X . They simply do not have other options. Although Google tries to distance itself from Motorola due to possible concerns from other Android handset manufactures, Moto X Phone is very likely a deep collaboration between Google and Motorola. The first smartphone designed, engineered and assembled in the USA is coming. It’s also the first smartphone that you can design yourself. Because today you should have the freedom to design the things in your life to be as unique as you are. And this is just the beginning. By the end of the summer we expect there to be more than 2000 new employees in Ft. Worth, TX working to make all of this possible. Imagine what else you can do when you have the world’s best design, engineering and manufacturing talent located here in the USA. Essentially, Motorola pitches this phone on “freedom”: the freedom you have on the design. This is something truly interesting. You can now register on Motorola’s website to receive updates on this phone. Highlighting American-made may resonate with some American consumers. 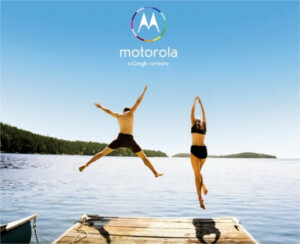 This is a perfect card for Motorola because US is its major market and in other market, it is marginal except in India.